Using spontaneous parametric down-conversion as a source of correlated photon pairs, correlations are measured between the orbital angular momentum (OAM) in a target beam (which contains an unknown object) and that in an empty reference beam. Using spontaneous parametric down conversion as a source of entangled photon pairs, correlations are measured between the orbital angular momentum (OAM) in a target beam (which contains an unknown object) and that in an empty reference beam. Unlike previous studies, the effects of the object on off-diagonal elements of the OAM correlation matrix are examined. Due to the presence of the object, terms appear in which the signal and idler OAM do not add up to that of the pump. Using these off-diagonal correlations, the potential for high-efficiency object identification by means of correlated OAM states is experimentally demonstrated for the first time. The higher-dimensional OAM Hilbert space enhances the information capacity of this approach, while the presence of the off-diagonal correlations allows for recognition of specific spatial signatures present in the object. In particular, this allows the detection of discrete rotational symmetries and the efficient evaluation of multiple azimuthal Fourier coefficients using fewer resources than in conventional pixel-by-pixel imaging. This represents a demonstration of sparse sensing using OAM states, as well as being the first correlated OAM experiment to measure properties of a real, stand-alone object, a necessary first step toward correlated OAM-based remote sensing. Researchers from the University of York are pioneering the development of electron microscopes which will allow scientists to examine a greater variety of materials in new revolutionary ways. 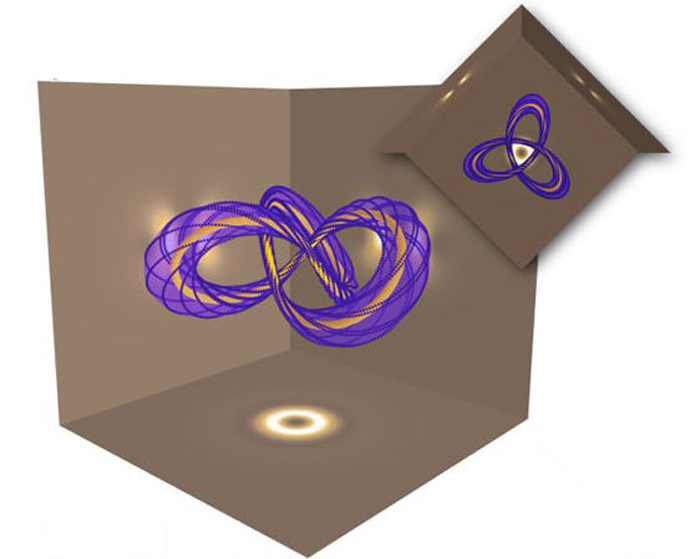 We present an optical setup for generating a sequence of light pulses in which the orbital angular momentum (OAM) degree of freedom is correlated with the temporal one. The setup is based on a single q plate within a ring optical resonator. By this approach, we demonstrate the generation of a train of pulses carrying increasing values of OAM, or, alternatively, of a controlled temporal sequence of pulses having prescribed OAM superposition states. Finally, we exhibit an “OAM-to-time conversion” apparatus that divides different input OAM states into different time bins. The latter application provides a simple approach to digital spiral spectroscopy of pulsed light.